The textile industry wants to enhance its competitiveness in South Asia. Hence it is working toward improving the efficiency and quality of some of its products to increase its market share in the region. One of the ways this will be done is by comprehensively studying the textile value chain within Pakistan and India. It will identify potential synergies, prospects for growth, benefits to the economy and challenges faced by businesses and policymakers on trade between Pakistan with India. The country feels there is a huge demand for fine textile products within the region which it is in a position to meet if some hurdles are removed. Pakistan stands at the crossroads as it is slowly becoming uncompetitive. Textiles mills have to move from producing raw materials to the final stage of garment manufacturing. One of the most important reasons for that is that manufacturing consumes only 1% of electricity compared to 30% of power used in the spinning process. Another important factor is that the garment industry gives the highest number of employment opportunities and this is something Pakistan desperately needs at this point in time. In addition there are challenges of future regional integration in South Asia. 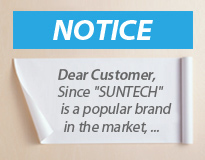 SUNTECH, one of the leading designer & manufacturer on textile machines for weaving and finishing units, especially for Fabric Inspection Machines.